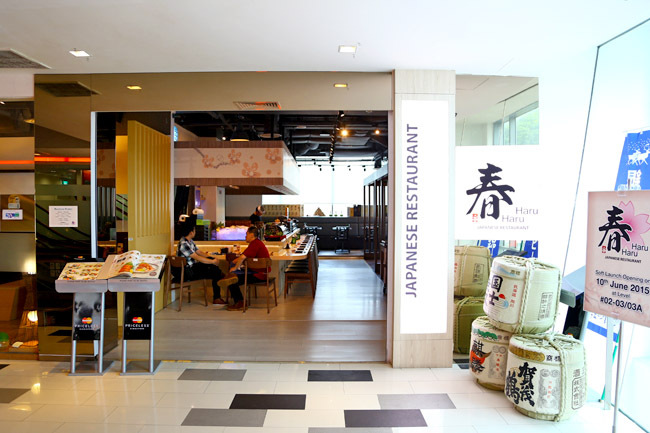 The truth is, I haven’t been to Ang Mo Kio’s Jubilee Square for a while and ventured there to try out Haru Haru, a new Japanese family restaurant on the 2nd level. Who would have thought? This humble eatery actually serves up quite decent fare at prices that won’t break the bank, especially its satisfying bowl of Tendon that could give bigger players a run for its money. Not to be confused with Big Bang’s hit song of the same name, Haru Haru represents ‘spring time’ in Japanese and is perhaps a wish of the owners to bring new beginnings and life to the area. 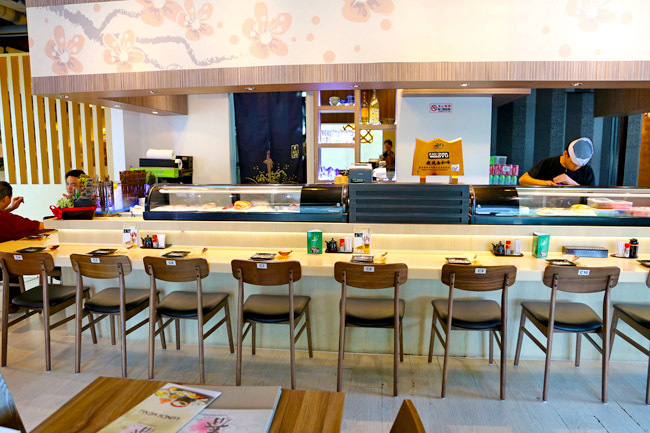 You can choose to sit at the counter where you can observe the sushi chef at work directory, at the main restaurant area (glad that there was some partition so that it is not so cramped) or the private rooms. Some of the best items I tried were not in obvious sight in the menu, and only found out after I have asked. While the menu has another (cheaper) version of the Tendon, order the Haru Haru Premium Tendon ($21.90, not found in the menu yet) which is value for its buck. Oh, look at that prawn. So gorgeous that we couldn’t wait to sink our teeth in. The bowl arranged with a deep fried large sea prawn lying across with vegetables below, won us over with its tasty sweet-savoury tendon sauce served separately. This would have been a perfect 10 if the rice was fluffier with that glossy sheen to match it overall. 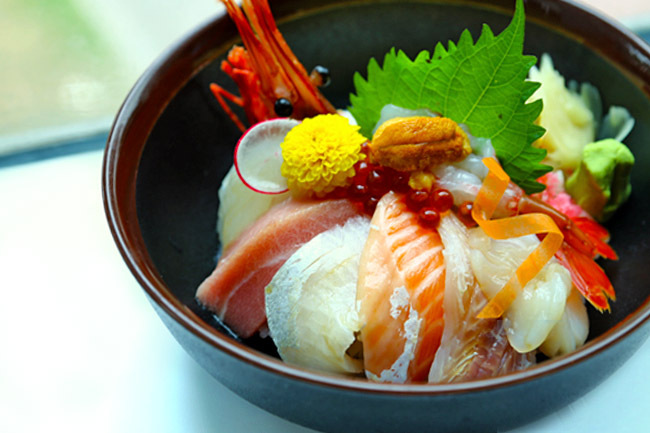 The Chirashi Don ($31.80) is hidden on one corner of the menu, sans the typical big picture. The bowl came neat-fully arranged with slices of fresh sashimi, from Sake, Otoro, Chutoro, Hotate to creamy Uni right smack in the centre. I initially wondered about the price point, especially in a neighbourhood mall, but ingredients were generous, slices thick enough, some melt-in-the mouth to warrant a return visit for this. Hara Haru’s signature dish that the servers were eager to recommend, was the Wagyu Don ($24.80) – because it is not all the time you can get Kagoshima A4 grade wagyu beef over rice at such a price. The beef slices were well-seared, tender in the middle with a smoky flavour. A comforting bowl to have. You can choose to mix in the onsen egg, or eat it as a dip for the beef slices. I noticed the liberal use of fried garlic, so you may like to inform the kitchen prior if you are not too big a fan. The Wagyu is also available in grilled tataki form ($26.80). Though comparing the two, we preferred the pieces in the don because they seem better marinated and executed in achieving that balance in tenderness. 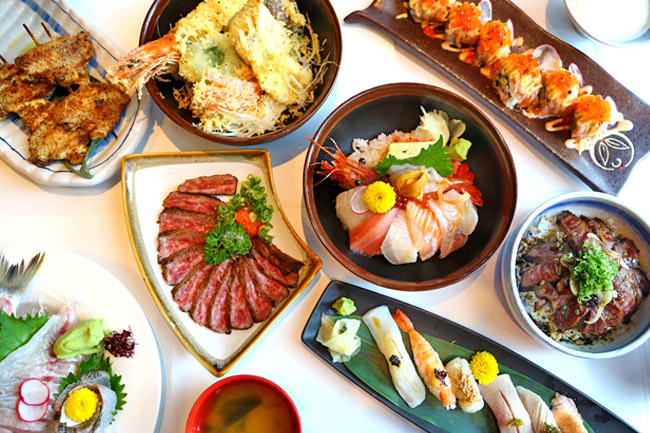 If you are the type who likes to try a bit of everything, the Aburi Sushi ($23.80) could be a suitable choice, consisting of Salmon with Mentai (my favourite of the lot), Salmon with Ponzu, Hotate with Mentai, Ootoro Ponzu and Wagyu Ponzu (their recommended). Other than the usual sashimi plates and moriawase mixed style, Haru Haru offers fresh fishes such as the Akou (red spotted garoupa) that can be cooked two (or more) ways. 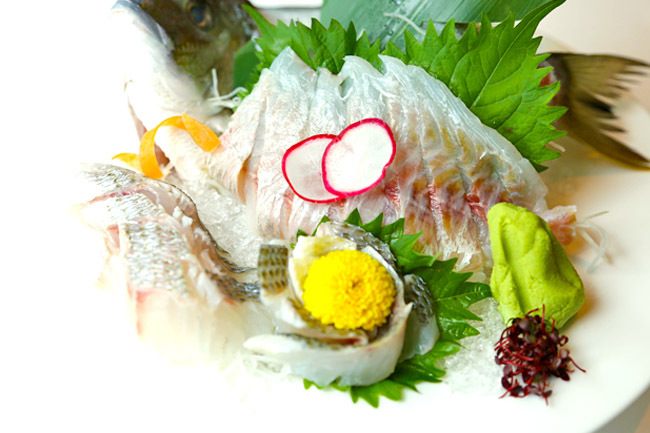 Request to have the fish in sashimi or grilled version first, while the rest of the fish (with the other parts of the flesh and bones) can be used to make into soup. Prices depend on the type of fish, but is generally affordably priced at about $30-$40. If you go down to Haru Haru during lunch (weekend inclusive), bring at least two more other people. There is a daily lunch special where you can buy 2 sets and get 1 free! Haru Haru will be rewarding 3 readers from DanielFoodDiary.com with a $50 Dining Voucher! 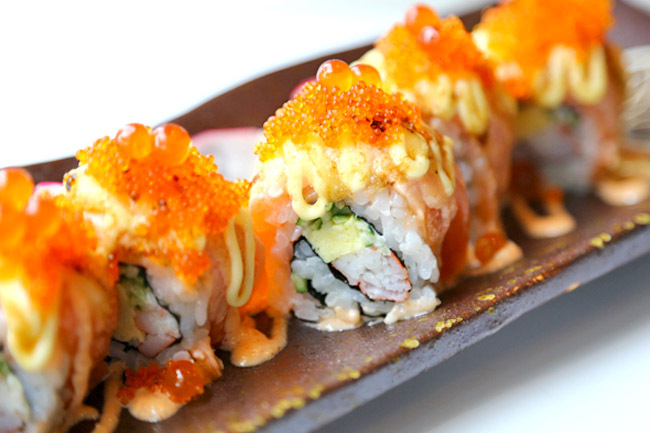 Step 3 – COMMENT below: What is your favourite food item from Haru Haru Japanese Restaurant and why? Congrats to Agnes Goh, Ching Ling, Liling on winning $50 vouchers from Haru Haru Japanese Restaurant in the DanielFoodDiary.com giveaway! * This entry is brought to you in partnership with Haru Haru Japanese Restaurant. Although I have not eaten at Haru Haru, I’m really positive that my favourite dish would be the Chirashi don. This is because I’ve always loved trying out Chirashi dons from everywhere and by the looks of it, it would be my favourite dish. I love the Kagoshima Wagyu Don! Because I luv Wagyu beef and Haru Haru chef marinated the beef and achieved balance in tenderness. Great skill! My favourite food from Haru Haru will be it’s Tendon. I like how the seafood and vegetables being freshly deep fried with no traces of oil smell. 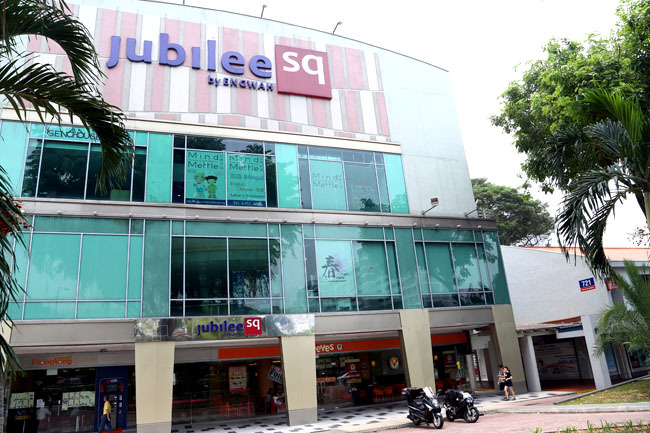 Didn’t know there’s a japanese restaurant at jubilee square. I will be glad to try it out since I really love Japanese cuisine! My favorite has to be their premium chirashi don!! I have a soft spot for sashimi and their premium chirashi son which is so fresh is just too irresistible !! My friends love the “Chirashi Don” while I love the “Saba Set”. Kagoshima Wagyu Don as it is so “don” good the last time i tried! My absolute favourite of the lot was Kagoshima Wagyu Don. Impressively, the meat retained its moisture and juices, giving it extra plus points in addition to its amazing flavours. I couldn’t stop myself from slurping the goodness in! Ichiban! Would love to try the Wagyu Don ($24.80). The price of the dish is reasonable and beef is always my favourite red meat! My favourite is the Premium Chirashi Don, simply because I enjoy the assortment of fresh and tender sashimi slices accompanied by a bed of sushi rice. Every bite is smooth with a cooling effect. A delicious, refreshing and authentic dish that is satisfying and could not be made any better with additional garnish or seasoning. I haven’t eaten at Haru Haru but the lunch set featured on their facebook, Sushi with mini udon looks good! A bit of everything. I love the grilled stingray with the yuzu flavour japanese wine. Its a great way to spend a night with sisters. Yummy!! Premium chirashi don. It looks really yummy and this is one of my favorite Jap dish. I can eat it everyday! My favourite item would be Haru Haru Premium Tendon! Loves the crispy and juicy big prawn which is definitely irresistible! It’s definitely value for $$! My favourite will be the Haru Haru Premium Tendon. Look at that big crispy, juicy and succulent prawn!! Complement with the sweet-savoury tendon sauce! Wow, oishii! Who can reject such a perfect combination of flavours! Definitely the star dish! 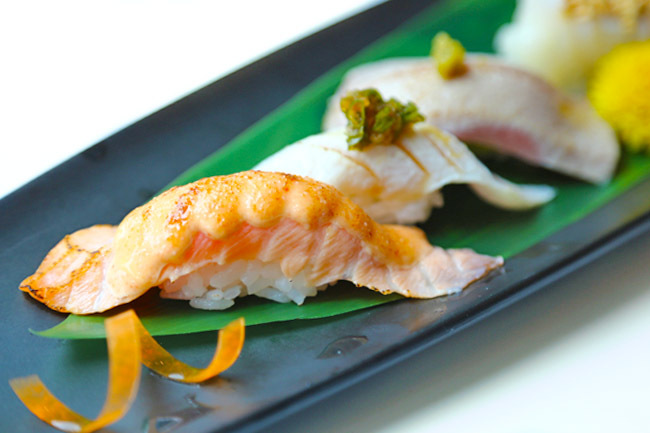 I haven’t been to Haru Haru although I often pass by that area and I guess my favourite would be the Aburi Sushi after reading the review. I would like to try more variety of food and the Premium Chirashi Don looks really very appetising. Would like to try it one day! I love the ten don, for its sumptuous portions and crispy tempura! My favourite food item will be Kagoshima Wagyu Don because I get to savour high quality beef slices that for sure it will linger for long in my taste buds. Wagyu Don which I have not tried before but it certainly look appetizing. Nice. Wagyu don!!!! Cos chirashi is everywhere. Premium Chirashi Don…can’t wait ! I would love to try the wagyu don and share them with my family! this is really near my house, glad to know that such gem of a place exists in the heartlands! Simply because i have a friend who shares the same liking of wagyu and goes “Hey look! Meat” whenever he tags me in a food related post lol. My favourite would be Kagoshima Wagyu Don. Such premium quality wagyu at A4 grade, at such an attractive price makes my mouth water at the thought of it. I would love to try the Kagoshima Wagyu Don. Looks so yummy, smokey red meat! Can’t wait to try if i win the vouchers! Kagoshima Wagyu Don earns my vote! Superior quality Wagyu beef at a wallet-friendly price!! I would love to visit this place to try their Japanese food! I will choose Premium Chirashi Don because I can enjoy slices of fresh sashimi, from Sake, Otoro, Chutoro, Hotate to creamy Uni right smack at the same time. Kagoshima Wagyu Don!! I love waygu beef! Because Other than the usual sashimi plates and moriawase mixed style, Haru Haru offers fresh fishes such as the Akou (red spotted garoupa) that can be cooked two (or more) ways. Because I love to eat sashimi with rice and this set consist of Salmon with Mentai (my favourite of the lot), Salmon with Ponzu, Hotate with Mentai, Ootoro Ponzu and Wagyu Ponzu . I love it because the beef slices were well-seared, tender in the middle with a smoky flavour. And I can choose to mix in the onsen egg, or eat it as a dip for the beef slices. I like the premium tendon from Haru Haru because it looked yummy! Hope to have a chance to see if it tastes as good as it looks! My favourite food item from Haru Haru Japanese Restaurant are Kagoshima Wagyu Don because I love Wagyu alot and this Don served with juicy A4 grade waygu, that make me more craving for it. The price is quite affordable as compare to others restaurant and the quality of the waygu. I love the Wagyu Tanaki. It is tender and deliciously marinated. I would love to try the Kagoshima Wagyu Don! The beefs look tender and very flavourful! My favorite is Haru Haru Premium Tendon because I love deep fried food, and the deep fried prawn looks really big and tasty. My meal would be made complete with Chawanmushi. 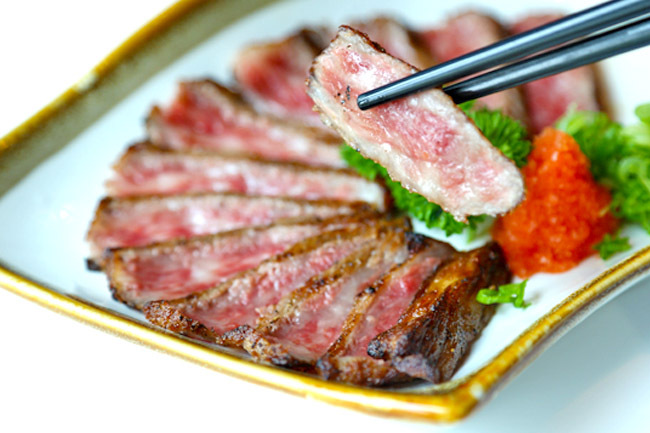 Love to try Kagoshima Wagyu Don because I’m a beef lover and I can’t never resist marinated, tender and juicy beef! Just the thought made me salivate! Yummy! 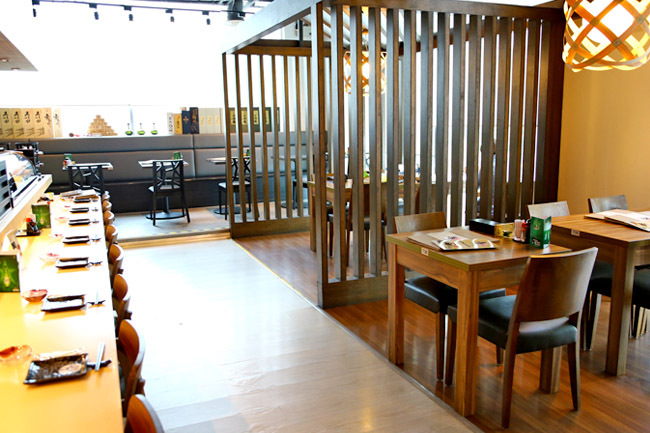 I’m staying close to AMK and I didn’t know about this Japanese restaurant! I would like to try their grilled tataki Wagyu because I like beef, and the price seems reasonably for me. I also want to try their bento sets. My favourite food from Haru Haru Japanese Restaurant would be the premium Chirashi Don! Super yummy and satisfied!! Salmon sashimi, fresh and nice, great cutting skills. Complete with Wagyu beef, nicely grilled and juicy. I visit Haru Haru every other week. Our favourite is Tamago Yaki. Although it is just egg, not many restaurants get it right. Haru Haru makes Tamago Yaki taste like a delicacy. 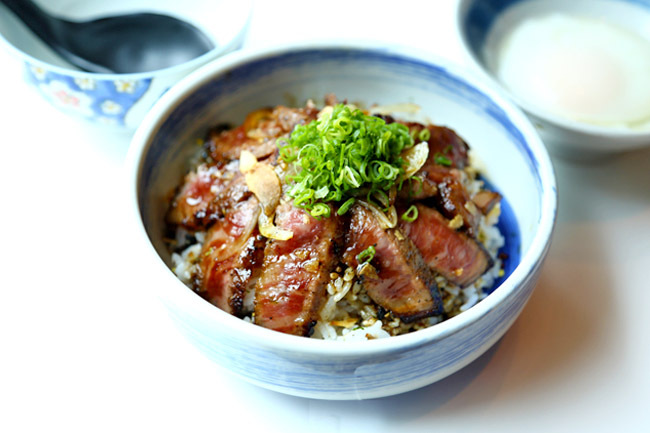 My favourite food from Haru Haru Japanese Restaurant would be the Kagoshima Wagyu Don cos I love beef ! My favorite is the Sushi with Mini Udon Set. This is an affordable and filling set. I get to eat my favorite sushi, and try their udon at the same time! My favourite food item from Haru Haru Japanese Restaurant is Premium Chirashi Don because it is so pretty to look and has all the delicious seafood which I like in it. My favourite is the Premium Chirashi Don. Fresh thick slices of sashimi on top of fluffy Japanese rice is my guilty pleasure and is something I will order if it is available. 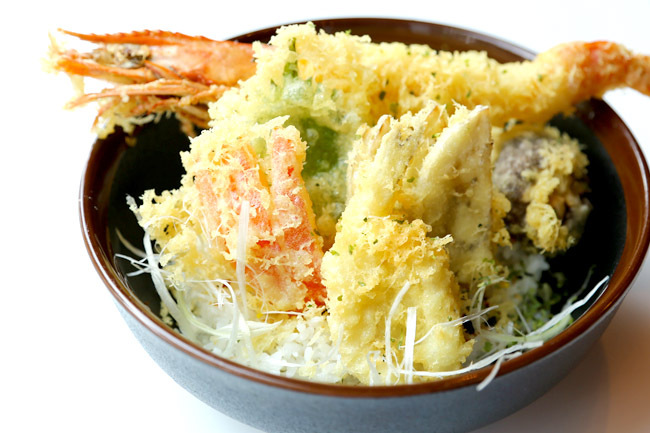 Will definitely love to try Haru Haru Japanese Restaurant’s version of chirashi don. Kagoshima Wagyu Don! It looks so good in the picture that it’s making me hungry and I would love to give it a try! And Haru Haru will contact you on how to collect the vouchers. Enjoy the meal!